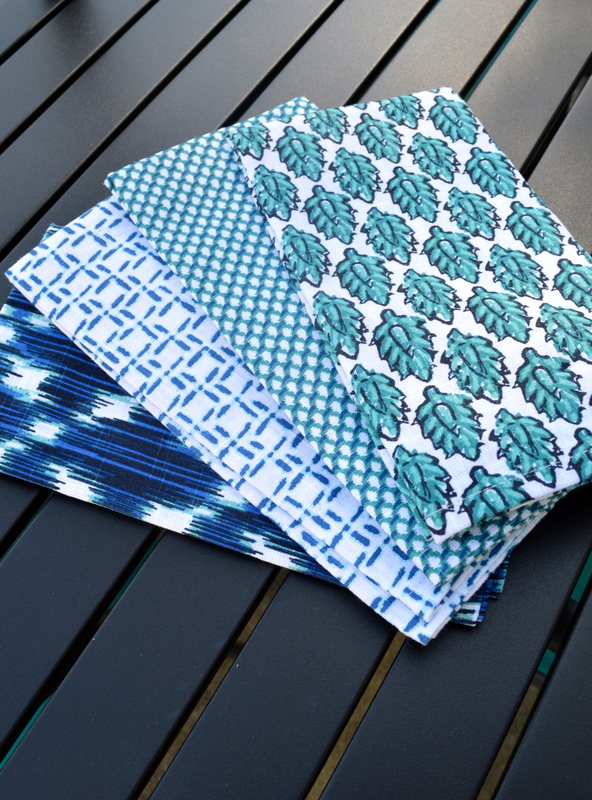 We have a set of fantastic Pottery Barn linen napkins that we use indoors and another set that we use outside on our back patio. I love that not only do they add a decorative touch but that they can be thrown in the wash and used over and over! I have been obsessing over tie dye since my nephew had us make our own shirts at his fifth birthday party a couple of months ago, you can read more about that here and see my reverse tie dye tanks! We needed some napkins to throw in our cooler for our frequent beach days on the weekends and I thought it would be fun to make some! 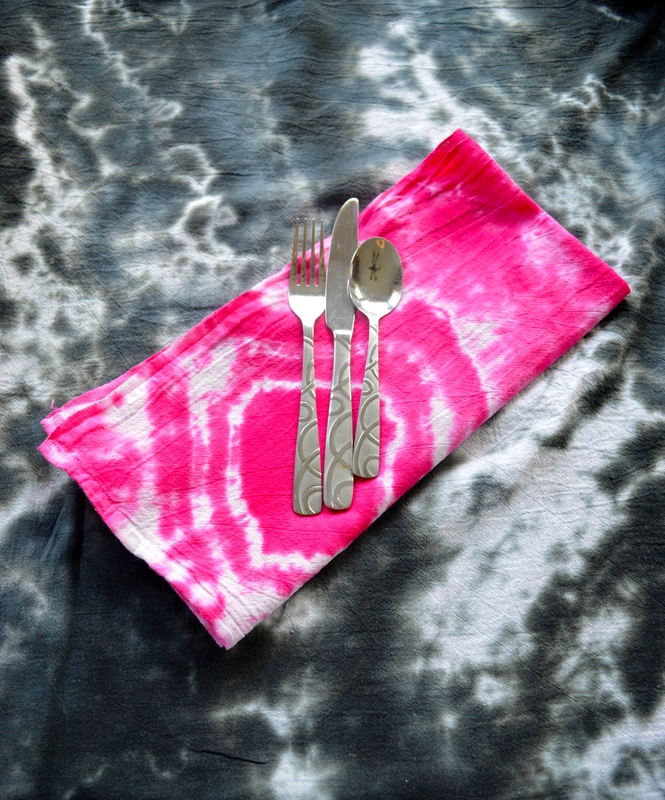 I got some inexpensive flour sack towels, a $5 tie dye kit and voila! The thing I love most about these is that you can customize the colors and designs to fit your preferences! To see how I made these, with step-by-step photos, head on over to the latest issue of Vrai Magazine! These are perfect!! Love them!